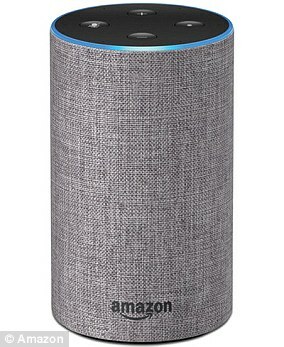 Alexa has been known to be a bit annoying at times -- laughing at random, ordering items without being told to and giving users more information than they wanted. Thankfully, Amazon has developed a solution that'll make its voice assistant talk a little less. 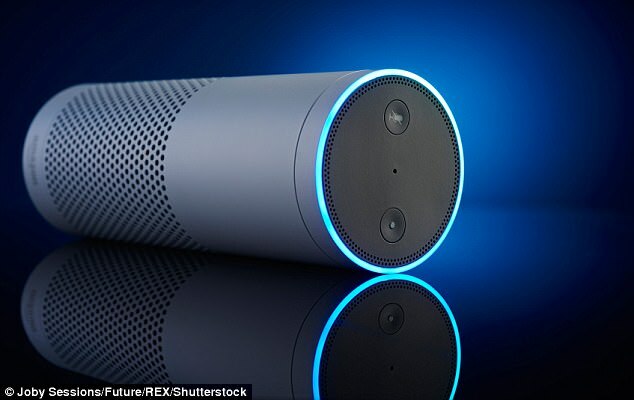 Called 'Brief Mode,' it allows users to replace some of Alexa's verbal confirmations with non-verbal signals, like beeps. For example, if you ask Alexa to turn off the lights in your kitchen, instead of saying 'OK,' the voice assistant will just reply with a simple beep. Amazon is currently testing Brief Mode among a select group of users, but it's likely that the feature will roll out to all devices soon. 'We're always looking for ways to make Alexa even more useful for customers, and the new Brief Mode setting is another example of that,' an Amazon spokesperson told TechCrunch. From there, the app has a toggle labeled Brief Mode that can be slid on or off. 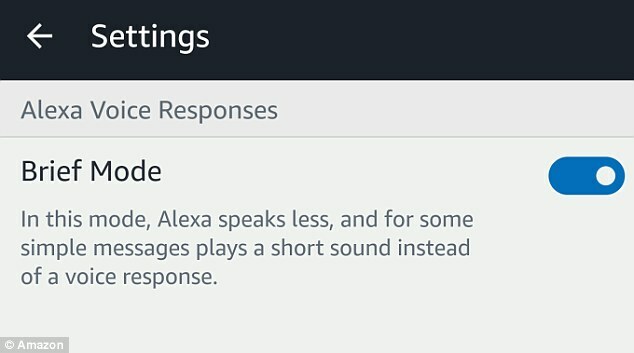 It seems that users can also activate Brief Mode for certain Echos, instead of it applying to all Alexa-enabled devices. For users who have Alexa-controlled smart homes, Brief Mode should make it a little less aggravating anytime they want to turn on a light, change the room temperature or lock their door. Brief Mode represents the latest example of Amazon's effort to make Alexa communicate more naturally. Amazon has introduced a 'Follow-Up Mode,' which removes the need to use a wake word any time you want to ask Alexa another question. Typically, if you tell Alexa to complete a task and then have a follow-up command or question, you have to start each sentence by saying Alexa. The internet giant wants to make talking to Alexa a bit easier, so it's no longer requiring users to wake up Alexa when they have several requests. 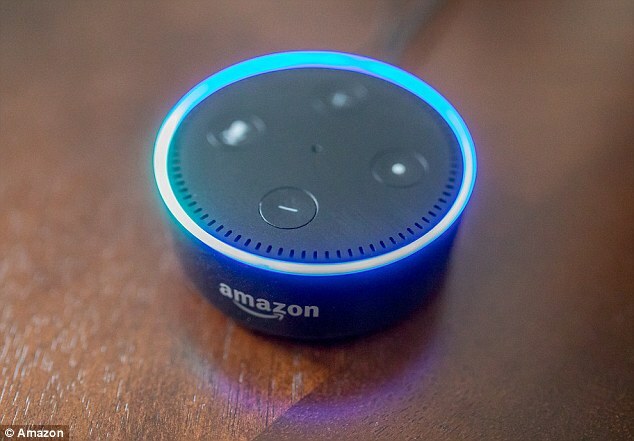 When users turn on Follow-Up Mode, Alexa will listen for up to five seconds after she's responded to a user to see if they have anything else to say, according to CNET. HOW CAN YOU USE ALEXA TO SEND TEXTS? Amazon in January rolled out a new feature that lets you text any phone number in your contact list using Alexa. There are some caveats, however: It only works for Alexa users in the US with an Android device that also have the Alexa app installed on their phone. Amazon introduced a new feature that lets users text anyone via Alexa -- as long as they're an Android, not iOS, user. You also can't use the feature to send emojis, text 911 or participate in group text messages. It's also unclear when or if the feature will be expanded to iOS users. Asking to send a message will prompt Alexa to send a message through the app. The recipient must already be in your phone's contact list in order for it work. Similar to Brief Mode, Follow-Up Mode can be turned on by navigating to Settings within the Alexa app. Alexa will only answer follow-up commands if she's sure that the user is making a legitimate request, CNET noted. Follow-Up Mode can be activated by all users with Echos or some third-party devices.